I've said it before and I'll say it again, when a marketplace gets saturated with a product, one must do something different to stand out. This would be completely true with bubble tea. 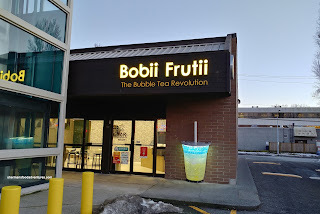 There are so many choices for bubble tea in the GVRD, it is gets a bit repetitive and frankly monotonous. I swear some places survive on location alone and the fact they are the only game in their immediate area. Others do so on their good name. 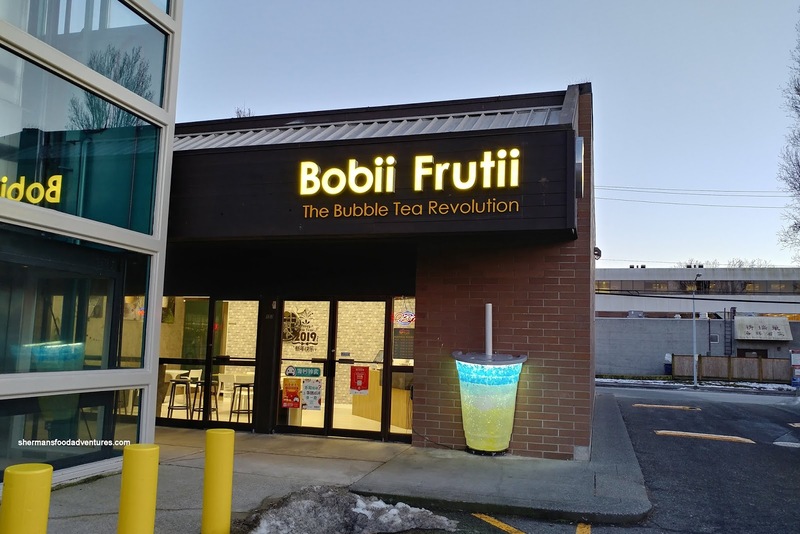 Bobii Frutii is a new spot in Richmond that does have following internationally but is relatively low-key with its opening back in October 2018. Location-wise, they are tucked in a corner off #3 Road in the same plaza as Boiling Point. 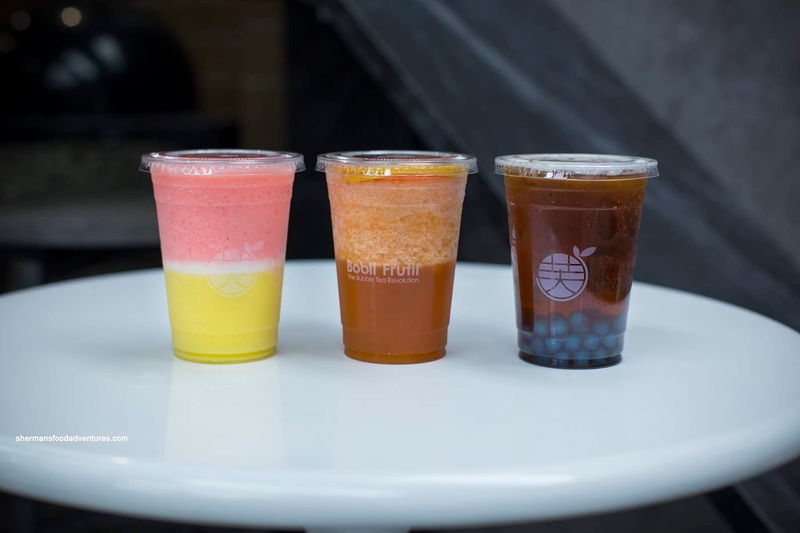 Their main selling point is their instagrammable drinks that sport vibrant colours as well as quality ingredients that are not artificial in any way. 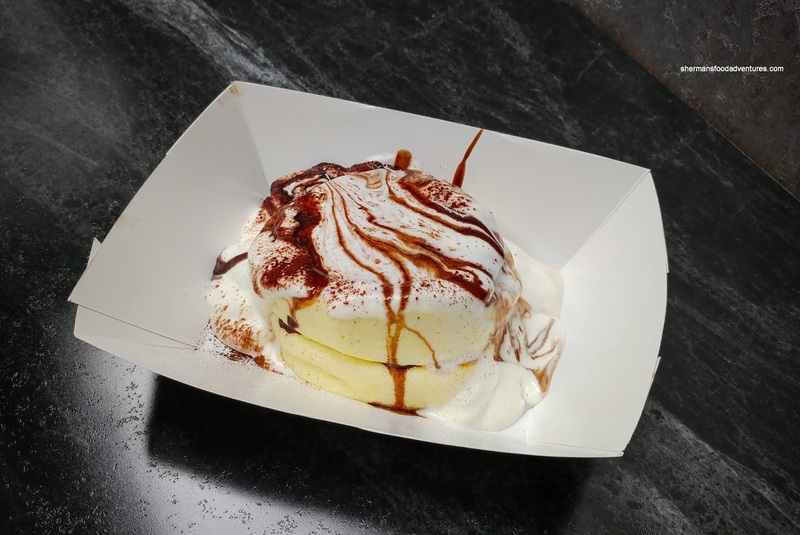 I was recently invited to try several of their drinks including 2 of their pancakes as well. 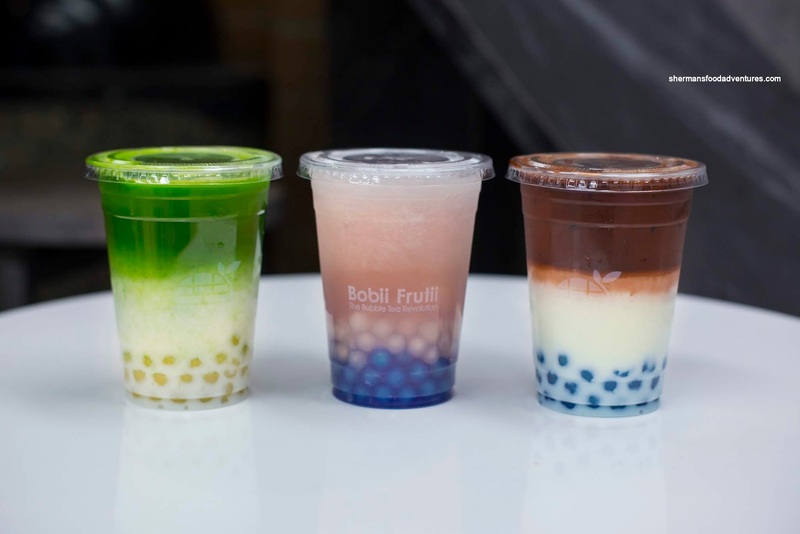 Possibly their most beautiful one has to be the Mermaid's Tears featuring mango, lemon, honey, milk and butterfly pea coloured bobii. This was refreshing and almost floral with a semi-sweet hit of mango and the tang of lemon. I would say this was rather mild-tasting compared to the visuals, but at the same time, it was far from being bland. Again, loved the colours and the natural butterfly pea colouring didn't introduce any bad aftertaste. As for the Souffle Pancakes, they were quite good. Unlike the one I had at Dazzling Cafe (they were underdone with wet batter), these were cooked all-the-way-through without being dense. As much as the chocolate ganache looked sweet, it really wasn't. With the requisite matcha offering, we tried the Uji Snow which was also nicely layered with matcha, milk and original bobii. I found this to be delicate with the milk bringing down the bitter aftertaste of the matcha. Hence, this was more subtle than anything, especially with its mild sweetness. Some might find it too light, but for me, it was perfect. 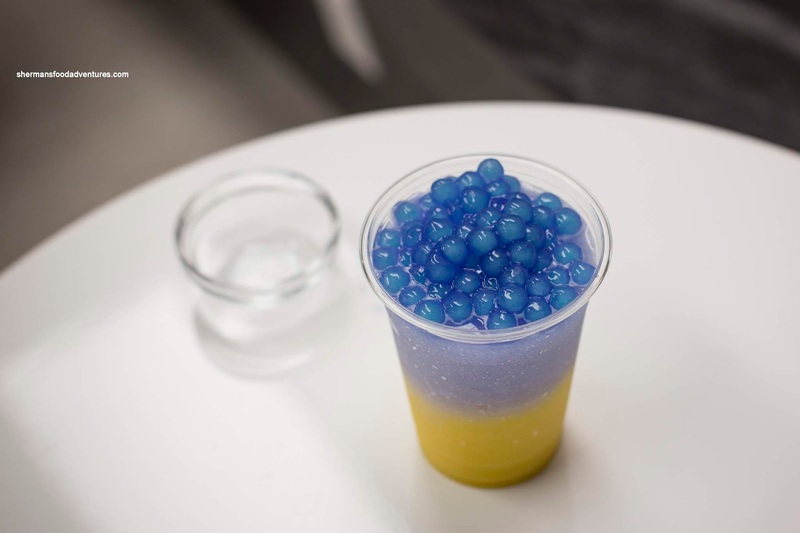 Pandora Treasures was also a beautifully coloured drink consisting of lemon and honey with both butterfly pea bobii and original bobii. This had a unique flavour that was also slightly floral. The lemon was very noticeable but tempered by the honey. Again, the drink was restrained in terms of the sweetness, but again, it wasn't flavourless either. The bobii were nicely texture being chewy with plenty of give. With chocolate au lait and butterfly pea bobbi, Dare to Dream was like a deluxe version of chocolate milk. Of course this was more chocolatey and less sweet (more dark chocolate notes). One of the fruitiest drinks was the Don't Want to Grow Up with strawberry and mango slush sporting milk and yogurt. It was a fairly smooth blend with a touch of iciness. Flavours were definitely there but not sickingly sweet. By virtue of the yogurt, the drink had a certain tangy creaminess. One of my favourites was the Grapefruit Oolong Tea made with fresh juice. This was the perfect balance between tea and juice in my opinion. Usually, fruity drinks often taste like juice but the tea gets completely lost. Not in this case as the oolong really came through, especially at the end. However, it wasn't so strong that the grapefruit juice wasn't impactful. In fact, it tasted quite strong. The sweetness was completely dialed in as the tartness of the grapefruit was not overpowering and at the same time, the drink wasn't syrupy. The last drink of this trio was a plain Oolong Tea with bobbi without milk. Good tea flavour that was definitely there but not bitter. Much like the other drinks, there was sweetness, but moderate. Overall, I was impressed with the drinks at Bobii Frutii. 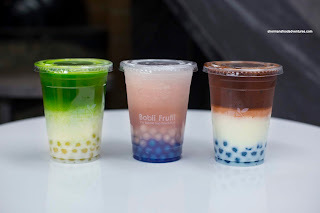 Normally, I have to ask for less sugar at most bubble tea spots because the default is very sweet. I didn't have to do this here and in fact, the flavours spoke for themselves. Yes, the drinks were pretty to look at too.